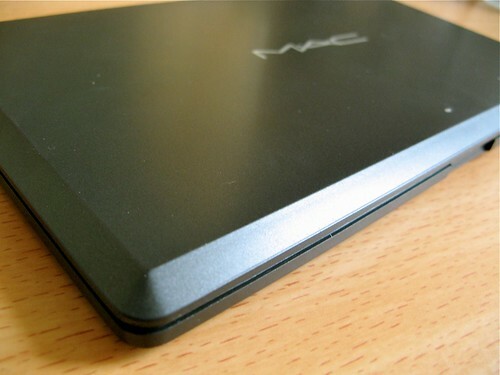 I've been looking for a MAC 15-pan magnetic palette (P835) for MONTHS, but finally, MAC Glorietta restocked! 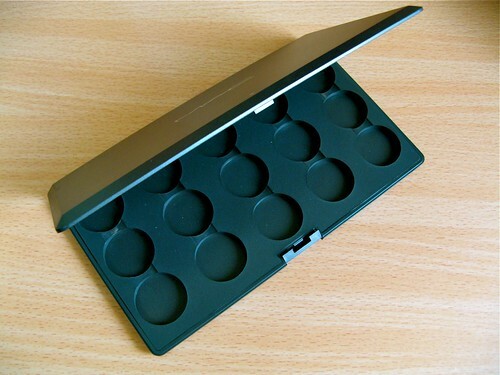 I excitedly checked YouTube videos to touch up on my knowledge of depotting, or moving individual eyeshadows, to a magnetic palette. 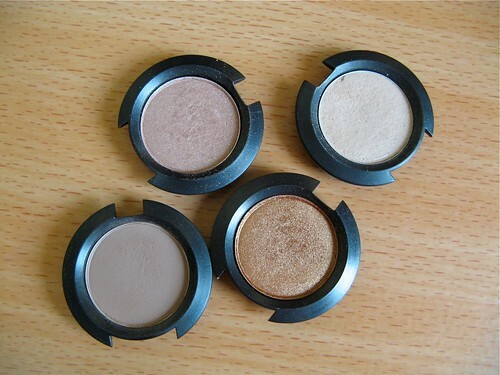 It would be so much easier to have all my eyeshadows in one place, making it more convenient to pick and use colors. The procedure looked quite simple and quick to do - but I should have known not to judge appearances! It's harder than the YouTube gurus make it seem. 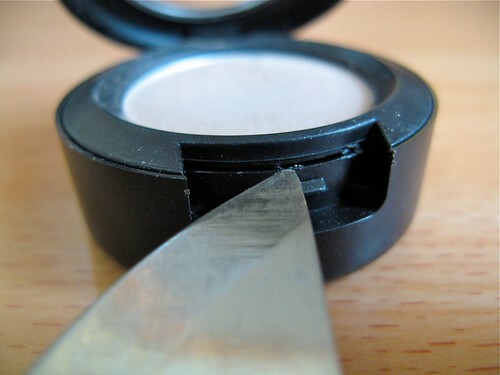 However if you're careful, depotting your eyeshadows shouldn't be too much trouble. 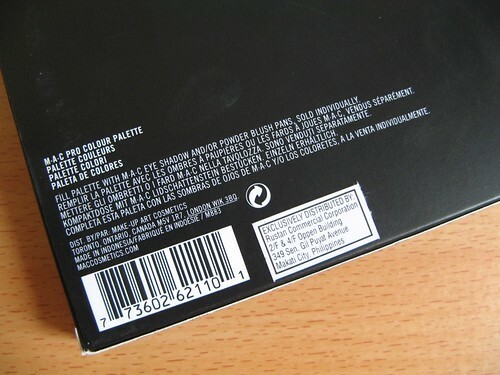 Step 2: Next up, you have to remove the actual metal eyeshadow pan from the black plastic. 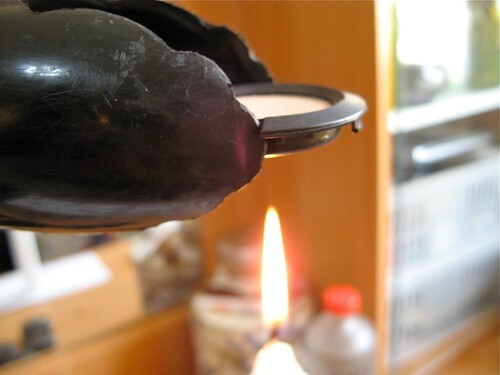 Light your candle and hold the eyeshadows on top of the flame with the thongs. The plastic should melt in a few seconds. 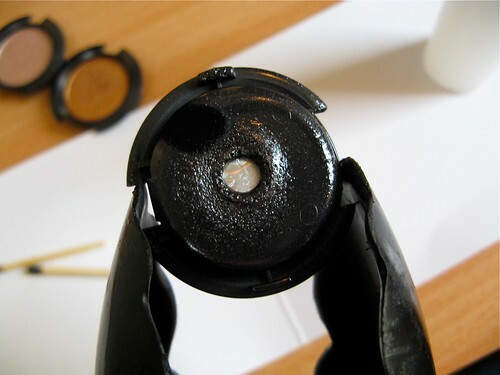 Be careful not to burn too much of the plastic, or the melted plastic will cling to the metal pan. 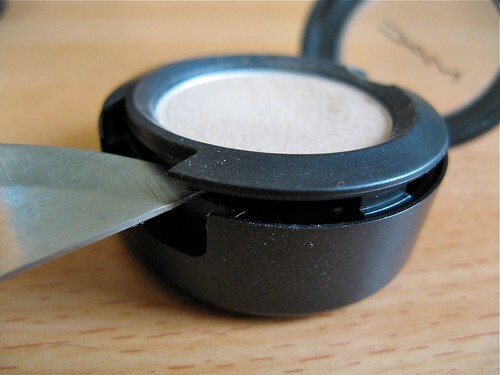 Step 3: When the plastic has melted, turn the eyeshadow face down and gently push the main metal pan down with the pin. 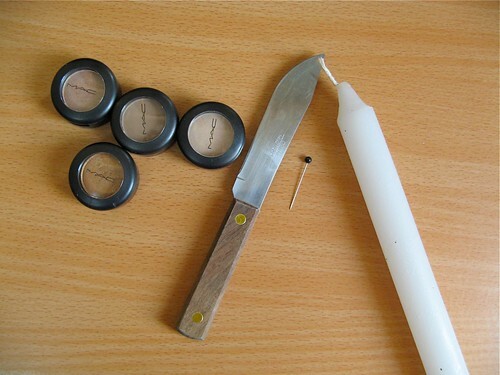 You can also use the tip of the knife if you prefer. Do this quickly, before the plastic hardens. Step 4: Once you have the metal pan, you'll see a wad of glue still stuck to it. Wipe this off with stiff tissue paper/ fabric using alcohol. The alcohol will dissolve the adhesive. Step 5: Attach the magnets to the back of the pan. 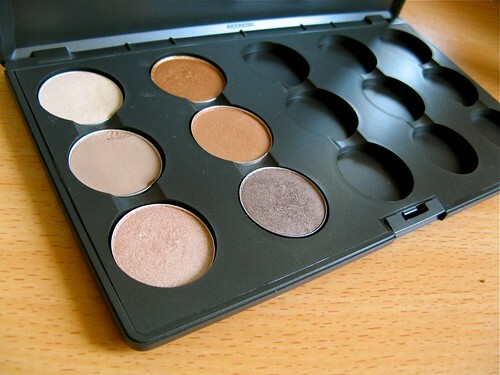 This will ensure that your eyeshadow will stick to the palette. And that's it. As you can see, I wasn't 100% successful in this project. My Wedge eyeshadow (1st column, 2nd row) fell and cracked its edges a bit. Gah. I'll be more careful next time I do this! So...nine more eyeshadows to go! Can't wait to complete this!